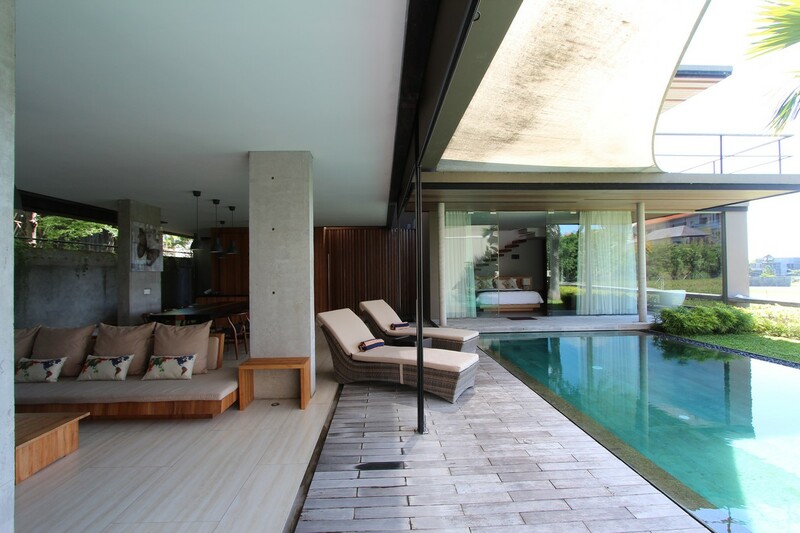 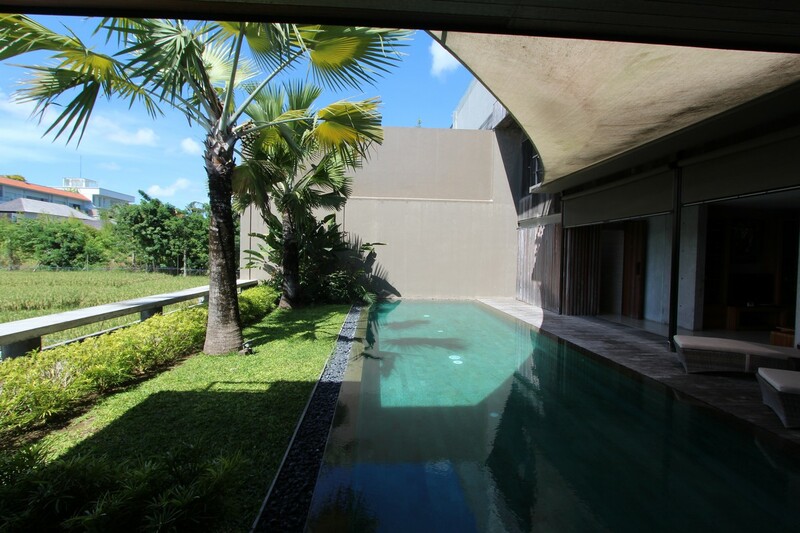 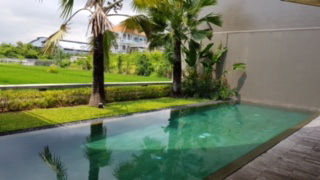 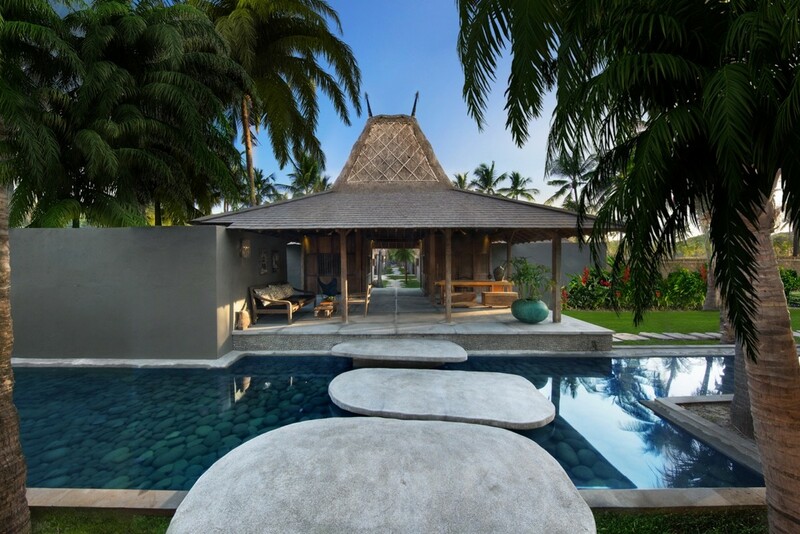 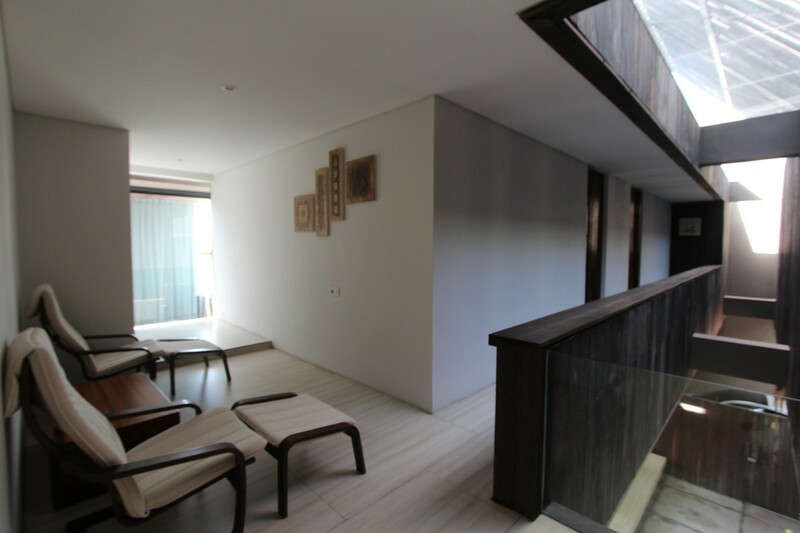 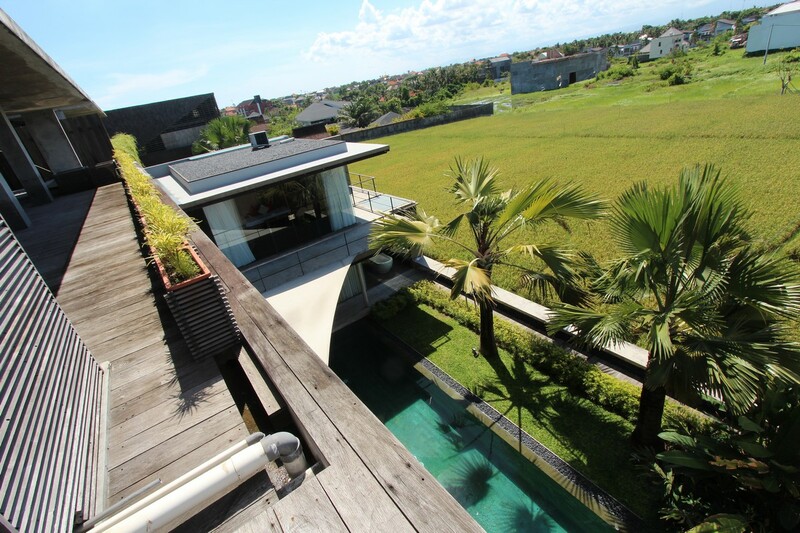 Welcome to Villa Berawa 8, a 3 bedroom villa located in Canggu in the middle of the ricefields. 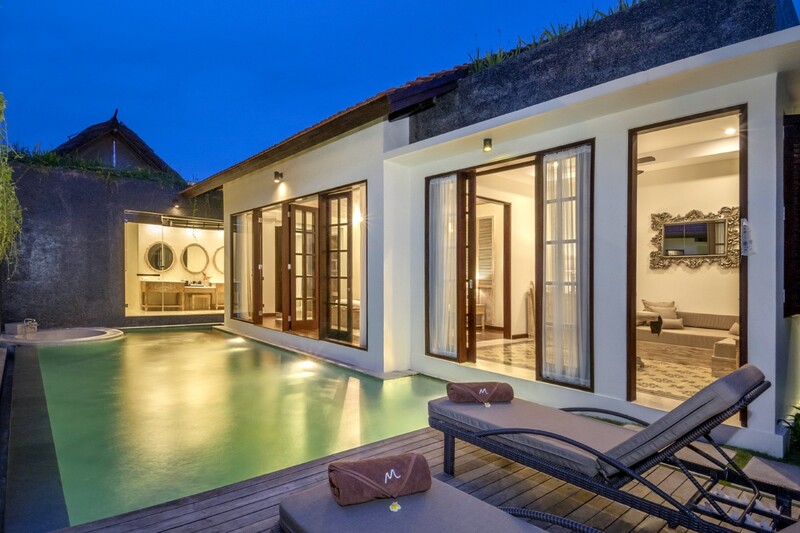 This majestic villa can host up to 6 people, at only 600 meters to Berawa Beach, 10 minutes to the living Seminyak area and 35 minutes from the airport. 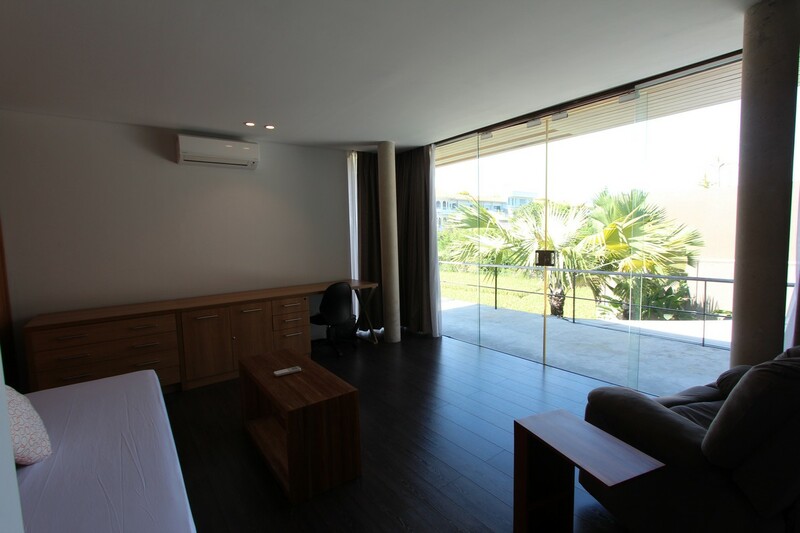 You can find close to the villa many restaurants, cafes and trendy bars. 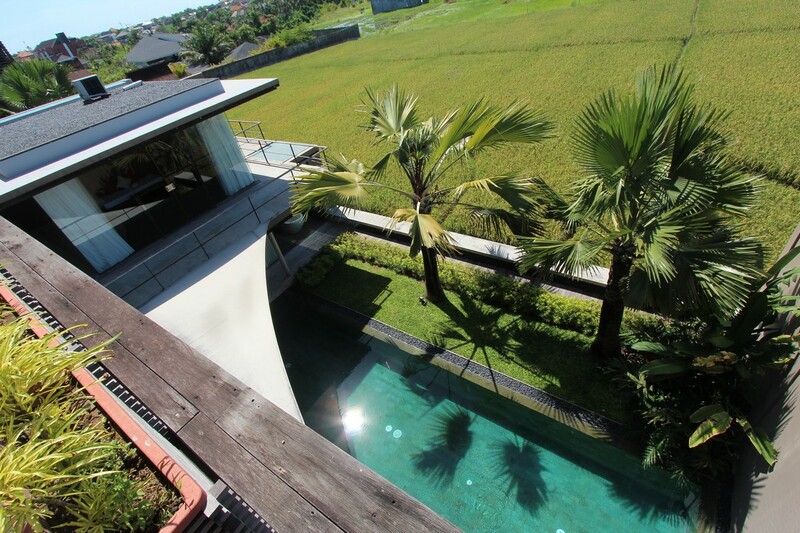 It's a perfect place to spend lovely time in Bali. 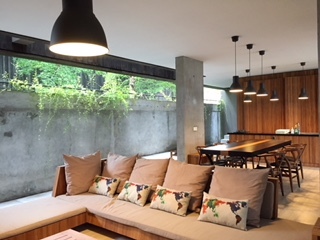 The living room is open on the outisde with a great sofa and a TV screen, a dinner table for 6 people and a fully furnished kitchen with all you need during your stay. 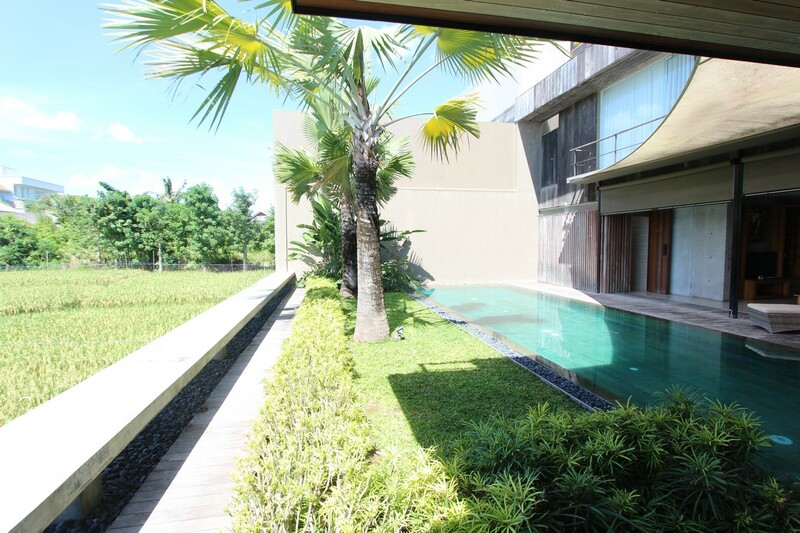 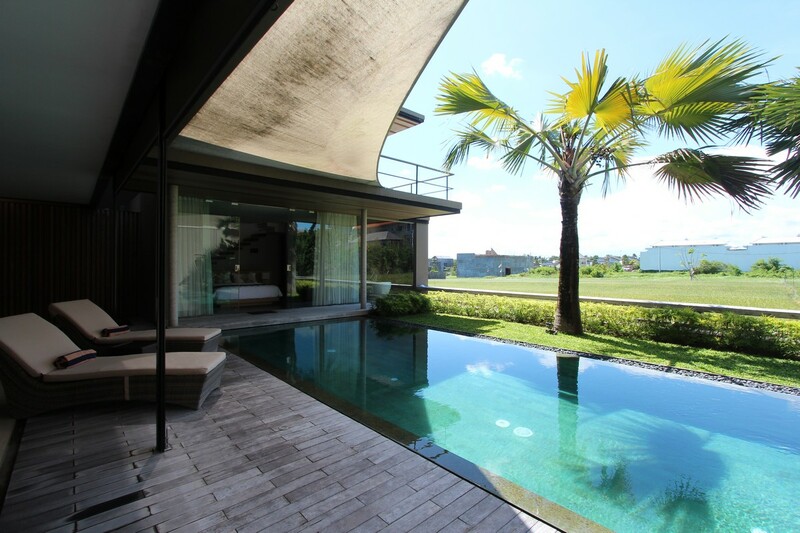 The architecture of the villa is very modern and the decoration also, it a very clean and spacious villa where you have access to a big swimming pool on the garden which is almost on the ricefields, a fantastic feeling. 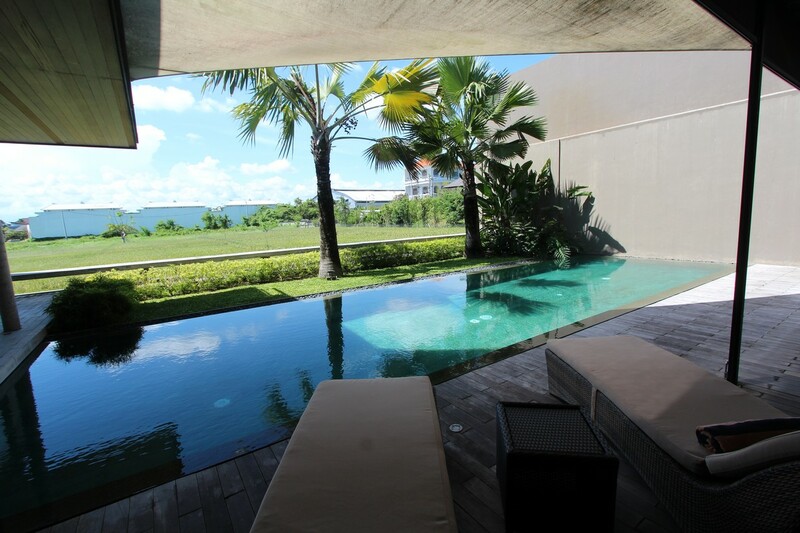 You can laze on the sunbeds with a delicious fresh fruit juice. 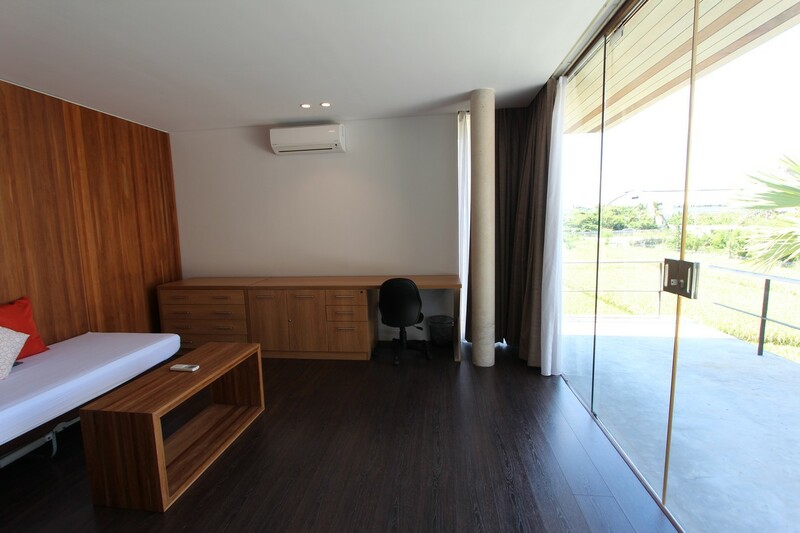 WIFI is available in all the property. 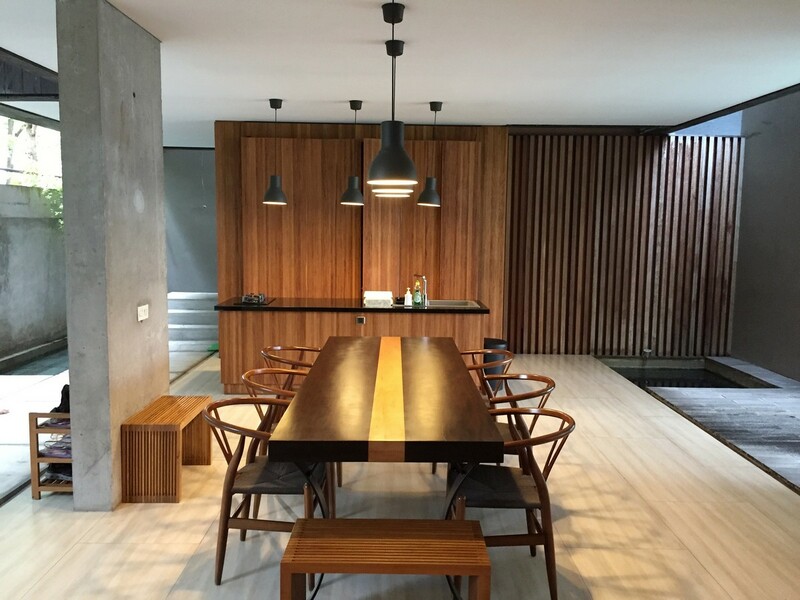 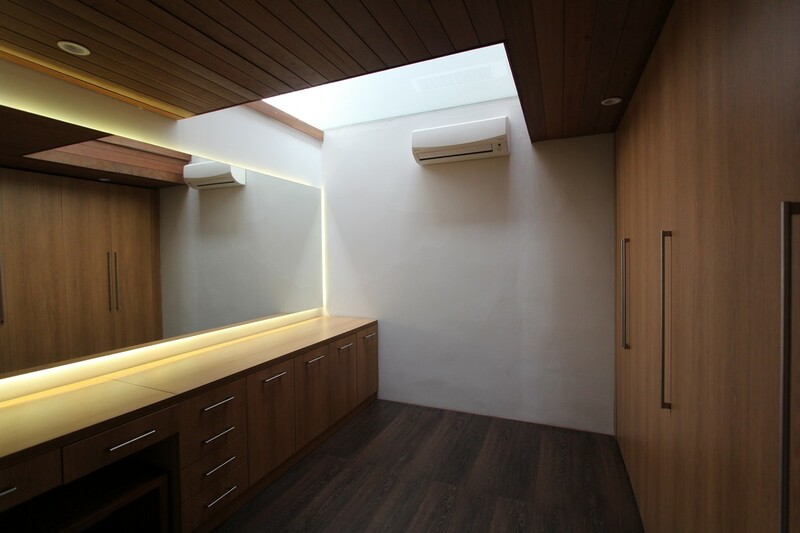 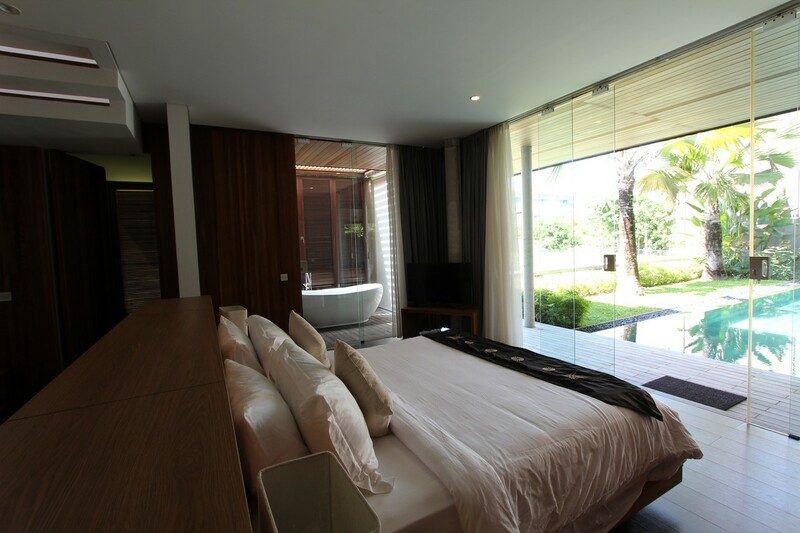 The villa has 3 bedroom and an office which can be converted in a room if you want more space. 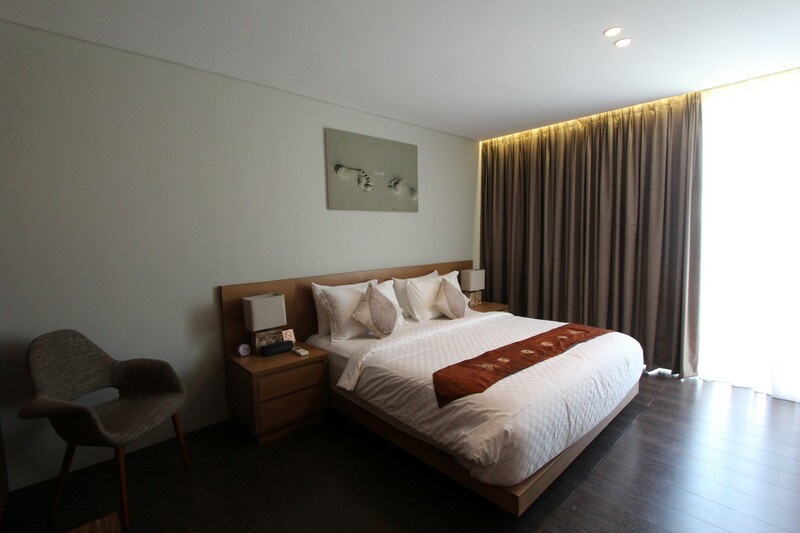 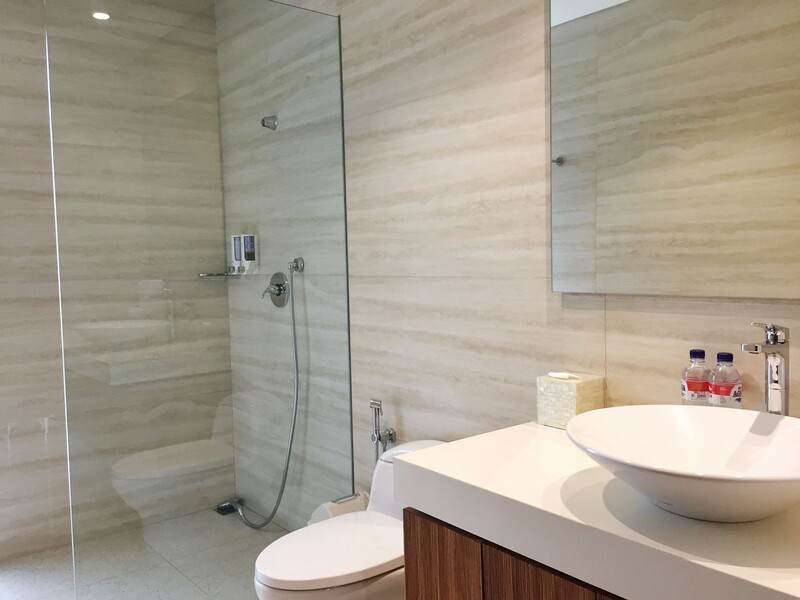 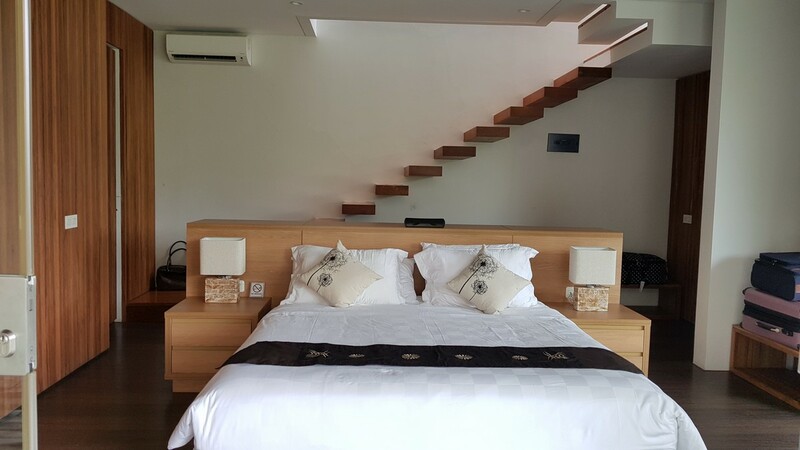 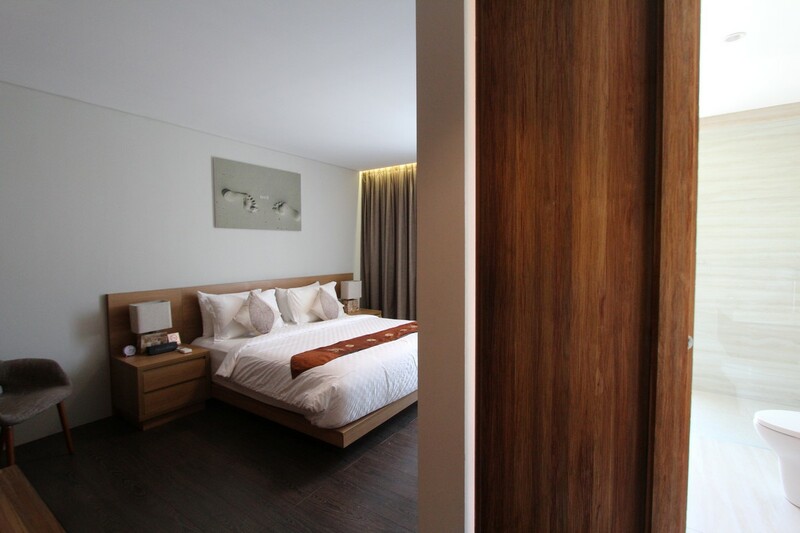 The master room is situated in the ground floor with a king size bed, a direct acces to the pool and a open air bathroom attached with a beautiful bathtub. 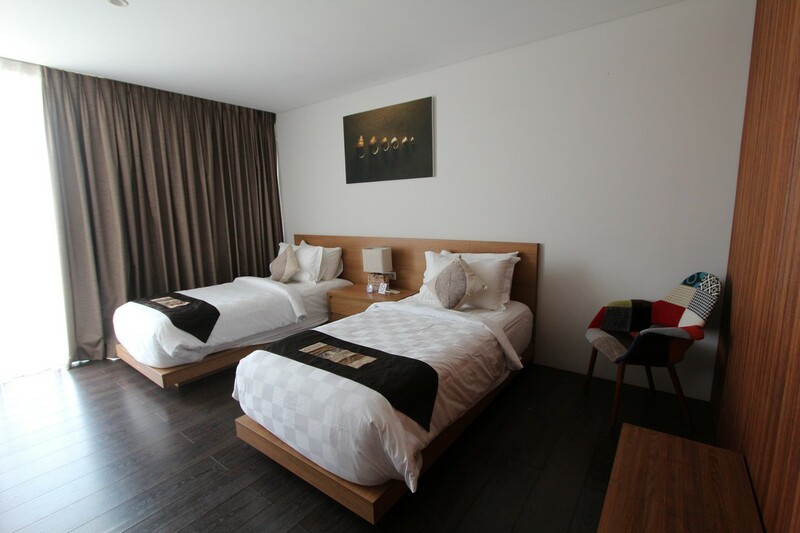 The two others are at the first floor, one with a queen size bed and one with twins beds. 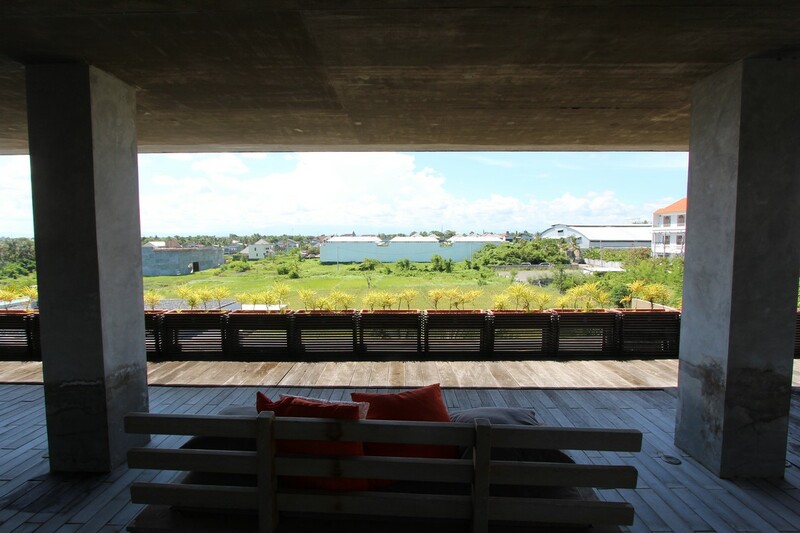 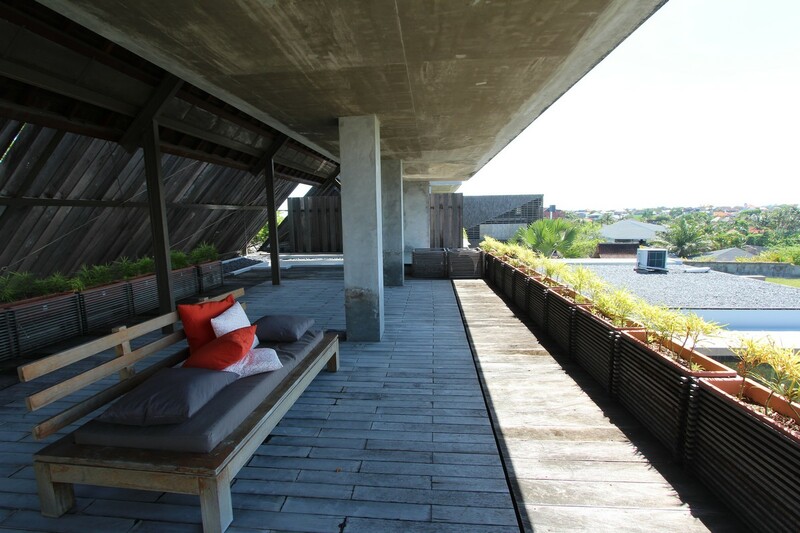 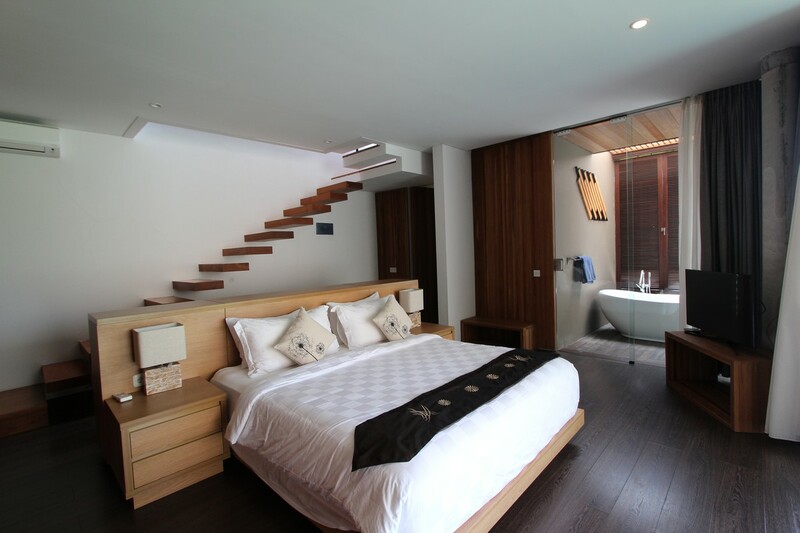 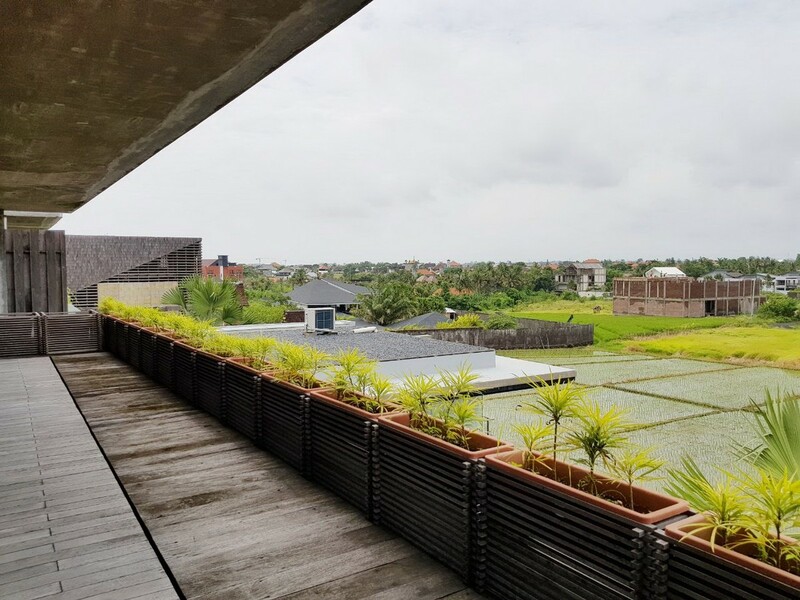 These two rooms have a balcony with a magnificient view on the ricefields. 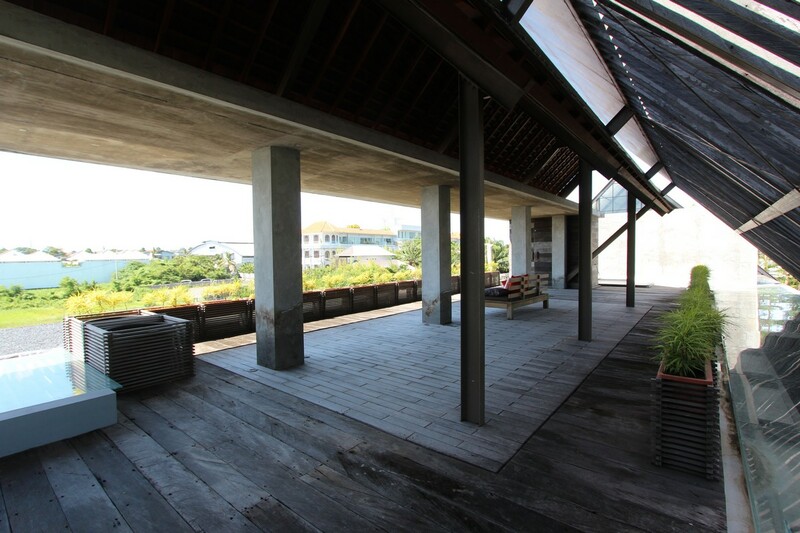 You will notice also a rooftop, a big terrace where you can take an aperitif with your family or friends and enjoy the balinese night life with fresh cocktails and good food. 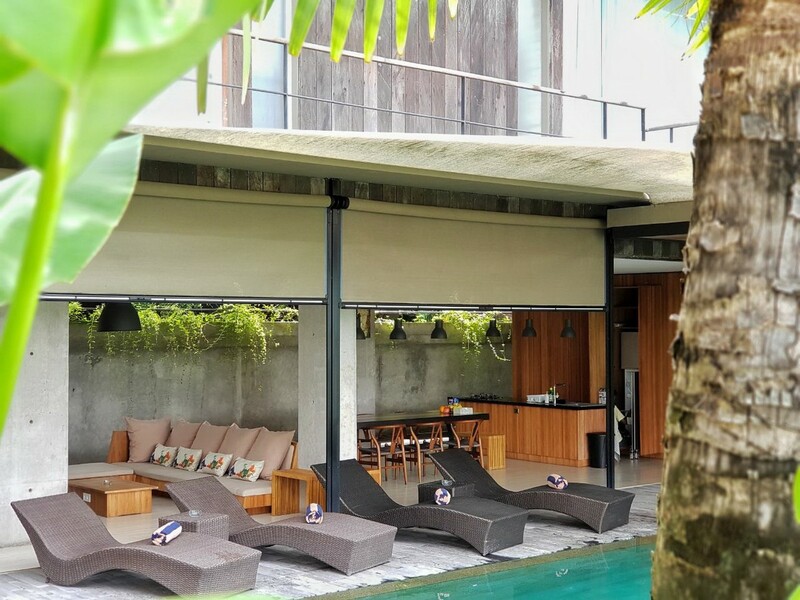 In Villa Berawa 8, a housekeeper will be present everyday to clean the villa, the villa manager will answer at all your requests during your stay. 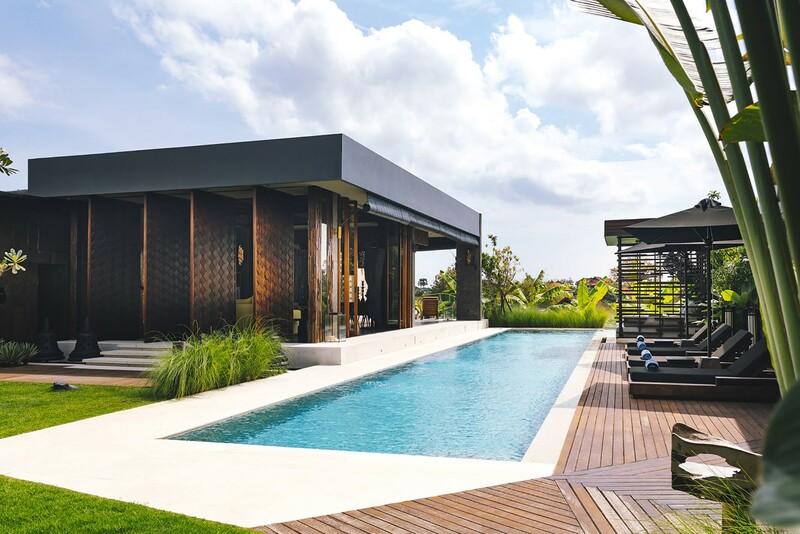 In extra and on request, a personnal chef can prepare you delicious meals, a babysitter can looking for your children when you go out, a laundry service and a spa therapist can come to the villa. 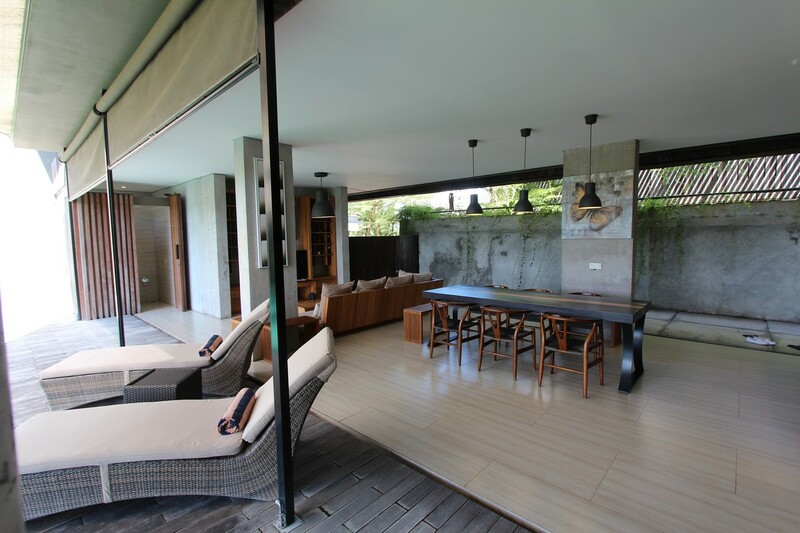 Bali Je T'aime team is delighted to present you Villa Berawa 8, a lovely combination between modern and balinese style, a great living experience to explore and have fabulous holidays in Bali.